It's easier than you think to spin out an Earth-like planet  provided the star that's doing the spinning has the right raw materials. As long as there are enough heavy metals like iron, cobalt, copper and zinc in the star's original cloud of gas and dust, rocky worlds can be spit out like BBs. Alas, by no means are all stars so rich in the right ingredients  which is why rocky planets like our own are comparatively rare. That, at least, was the old thinking. According to findings just published in the journal Nature, even metal-poor stars can turn out to be productive planet factories. This could mean that a lot more Earths  with a hard, variegated surface hospitable to oceans and biomes  are out there. And if those Earths also orbit their parent stars in the not-too-hot, not-too-cold region known as the Goldilocks zone, this could mean a lot more life too. The new discoveries were made by an international team of researchers led by astrophysicist Lars Buchhave of the Neils Bohr Institute at the University of Copenhagen. Buchhave and his colleagues used observations from four ground-based telescopes as well as NASA's planet-hunting Kepler space telescope to determine the elemental makeup of 150 stars that are home to 226 potential planets. Kepler has been gathering exoplanets by the butterfly net since it was launched in 2009. Already, it has solidly confirmed 72 new worlds, and has an ever growing list of candidates that stands at 2,321. Overall, astronomers have confirmed 779 planets residing in 624 planetary systems  from a standing start of zero less than 25 years ago. 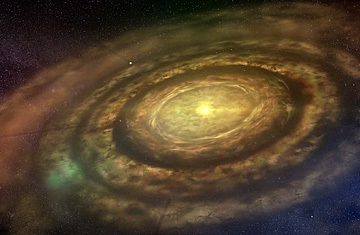 Still, the findings from the new, more discrete sample were especially important because of what they revealed about the planets' elemental makeup. The fact that the stars in the sample group are circled by possible planets at all suggested that they should be heavy-metal-rich  how else would the possible planets have formed? But when Buchhave and his team analyzed the stars' chemistry, that's not what they found. Rather, there were plenty of elementally light stars in the mix, some with only 25% of the heavy-metal content of our sun. "This shows that planets don't discriminate and instead can form around stars with a wide range of heavy-metal content," Buchhave says. Not only does this dramatically increase the potential census of Earth-like worlds, it also means that if life exists on any of them, it could be complex  even technologically sophisticated. That's because the more ancient a star is, the likelier it becomes that organisms on planets that orbit it have had a chance to develop intelligence. But older stars are typically metal-poor stars, ones that formed out of more-pristine clouds of mostly lighter elements. In the past, that meant no planets, and in turn, no life. Not any more. "The idea that very old stars could also sport habitable planets is encouraging for our searches," says astronomer Jill Tarter, director of the SETI  or Search for Extraterrestrial Intelligence  Institute in Mountain View, Calif. "Intelligent life has taken a long time to evolve here on Earth. It's reasonable to suppose that older planetary systems are more likely to have technological societies  the kind we might detect with our radio telescopes." Added SETI deputy CEO Edna DeVore, with obvious relief: "It could have been otherwise. For a half-century, our search for biology beyond Earth has been motivated by the assumption that planets are abundant. These new data provide support that what we hope might be true might really be." None of this means that a lot of E.T.-friendly worlds  to say nothing of E.T.s themselves  are out there. Our own solar system, with its dry-roasted Mercury, its miasmic Venus, its cold and apparently sterile Mars, is a dreary example of how easily things can go biologically wrong even on small, rocky worlds that start out with promise. But Earth is a living, thriving example of what can happen when everything goes right. We may or may not turn out to be a statistical fluke, but at least now we have a lot more sample worlds with which to run those tantalizing equations.